I have the natural remedies ready as it appears that we may be in for a really cold winter where I live. Local hunters and farmers are all saying it based on the extra fat on the animals, the animal experts are all saying it based on the way animals are behaving, and the Farmer’s Almanac said something about wooly bear caterpillars and their stripes. But the way I really know that it will be a cold winter? It’s not even winter yet and it’s already unseasonably cold here! It’s a balmy 18 degrees outside today and even with the heat on, it is pretty cold inside. We avoid sugary treats most of the time, but have a universal rule in our house that when it snows, we make hot chocolate (and snow cream, but that isn’t really a warming drink 🙂 ). Of course, that usually works out well because it doesn’t snow that often and the kids are so tired from their sledding and fort making that no amount of chocolate can keep them awake. 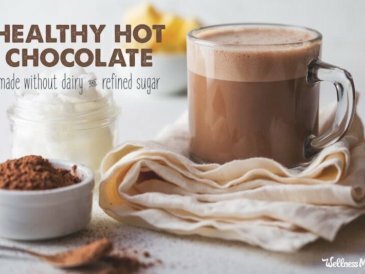 We love our go-to superfood hot chocolate recipe but I’ve recently discovered an even easier recipe that I wanted to share with you. It also has the added deliciousness of hazelnut! This hot chocolate has the rich flavor of hazelnut and can be dairy-free and sugar-free. 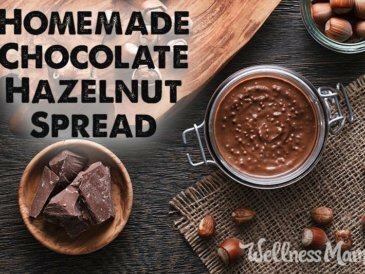 Using a pre-made organic chocolate hazelnut spread makes this recipe faster and easier to make (and keep reading for a sugar-free option too!). This hazelnut hot chocolate is warm and rich. It is the perfect treat for a cold winter night and you can drink it without guilt since it doesn't have the additives and extra sugar that hot chocolate powders contain. Warm the milk to a simmer in a small saucepan, but do not boil. Add the hazelnut spread and whisk until combined. Add the vanilla and cream and stir until heated. Top with homemade marshmallows or a dash of cinnamon. For an adult version, add a splash of Frangelico or another liqueur of choice to each glass before serving. 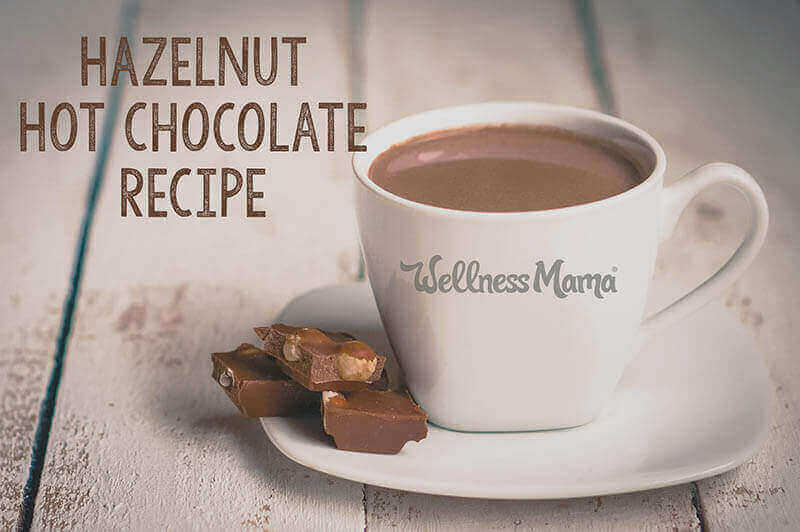 The recipe above doesn’t contain much sugar, but if you are on a keto diet or just avoiding sugar in general, there’s a great way to make hazelnut hot cocoa without any sugar at all. 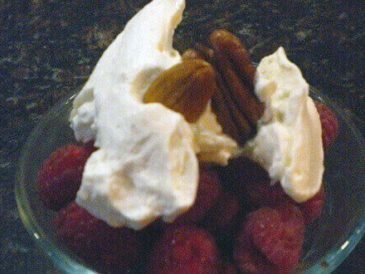 It doesn’t use any nasty alternative sweeteners or additives and you can get all the taste without the junk. Heat 4 cups of unsweetened almond or coconut milk in a saucepan over medium heat until it starts to steam. Add 1/3 of a cup of pure organic cocoa powder and ½ cup heavy cream (optional, but it improves the texture a lot) and whisk in until combined. Stir constantly until it starts to simmer and remove from heat. Add 1 teaspoon of vanilla extract and 20 drops of hazelnut stevia extract or more to taste. What is your favorite way to make hot chocolate?